Garrett Masquerade is the brother of Spencer Masquerade, half-brother to Loki Masquerade and Bonereaper Masquerade, and adopted brother of Logan Venom. Garret is a trained assassin and thief who is often accompanied by his half-brother, Bonereaper Masquerade or his cheetah, Skeiron. Garrett joined Sapient in November and managed to work his way up to Opus Parva, but after hearing about the conflict, he left Sapient to find his brothers. He found them in Portland and stayed with them for several months. Now, Garrett is back in Casa di Cavalieri. Species: Garrett's sighthound lineage plays heavily in his design. His wolf lineage adds to his height and his coyote blood also contributes to his physique. Fur: His fur is long and silky like a Borzoi. It is shorter due to his wolf blood. Optime Hair: His Optime hair is spiked and is mostly concentrated in the front. Facial Features: His head is somewhat wolflike with a narrower face. He does have a slight slope to his face like a sight hound. Build and Size: He is long-legged with a deep chest and a wiry and lean frame. He is quite tall and holds himself confidently. 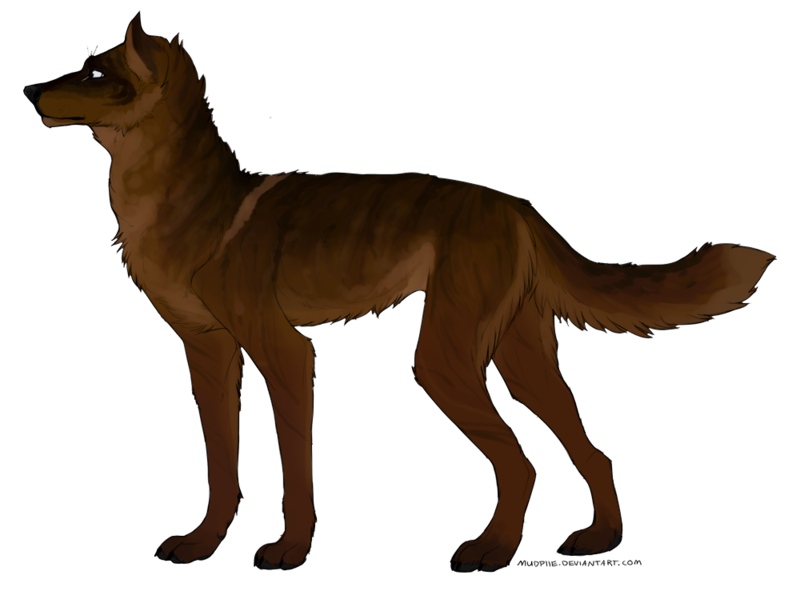 Lupus: His Lupus form is tall and looks like a sighthound with a wolf/coyote face. Humanization: His level of humanization is high. He wears clothes and uses weapons. 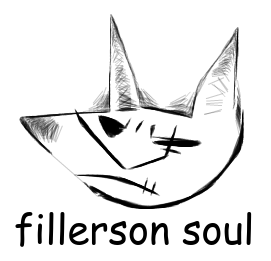 He does see value in feral forms though prefers Optime for most things. Garrett's outfits often include leather and are often dark-colored. He prefers clothing with hoods and frequently wears coats as well to disguise his identity. When not wearing what he calls his "suits", he often wears his leather jacket over something like a shirt. Garrett was raised to use his intelligence as well as his fighting skills. He is a quick thinker and a natural improviser when the situation calls. He also has a good memory and is able to quickly analyze a situation and pick the best option. He is capable of assessing a person's strengths and weakness and can come up with a plan relatively quickly. He is a good strategist and often uses his wits in a fight. If Garrett doesn't agree with something, he will rebel and try to change it. He will not be silenced without a fight and even then, he will show slight hints of disagreement. He doesn't play by the rules and oftentimes will find loopholes to get around them. Though, he doesn't break the rules unless it is for a good reason. He may test them, but breaking them is reserved for the times that he really needs to. Garrett can be an adrenaline junkie at times. He often does parkour just for the fun of it and may do dangerous things just to feel the high. He has grown out of it, but he wouldn't say no to the invitation. He isn't afraid to take risks and doesn't prefer to take things safe. He does know that these actions may affect others and tries not to include others in his schemes. Garrett has a big brother instinct and is a bit protective towards his brothers and often people he considers to be his friends. He will put himself in harm's way to ensure their safety. His family is very important to him, especially his siblings and the people he considers to be family. However, he can be a bit blind to their actions which could cause trouble. He was raised to uphold justice, no matter what. But, he has a slightly different view on some things. He is willing to steal from merchants to get what he wants, but he will not steal from those with families or people who rely on them. And he doesn't take necessities such as medicine or food. He is not above killing bad people or injuring mooks, but he tries to minimize or otherwise erase the possibility of collateral damage and will not hurt innocent people.
" He follows his own moral compass, which, although good, may not agree with that of society." ''"The chaotic good dislikes confining laws, self-discipline, and they distrust authority"
Species: Garrett doesn't have a species bias, but he is partial to dog hybrids. Gender: Garrett respects both genders, but he does flirt more with guys. Sexuality: Garrett doesn't really understand polyamorous relationships. Archetype: Garrett hates rapists and killers. He will go out of his way to dispose of one. Bisexual. He does prefer guys over girls, though but he can appreciate a female's looks. He is quite flirty but he can take no for in answer. Garrett has belief in no god, but he does understand the concept of heaven and hell. He does drink, but he does it moderately. He doesn't understand why people get high, though. Armed combat (Expert): Garrett has been trained to fight with blades and tomahawks. He can dual-wield and used speed to dodge blows or blocks them when necessary. He also is known to use common items such as bones, bottles, and rocks that are within reach if he has to. Unarmed combat (Skilled): Garrett fights with a mixture of mixed martial art techniques and dirty fighting. He goes for the soft spots and dodges and blocks attacks when possible. He often uses kick-boxing maneuvers because of his long legs and isn't afraid to jab someone in a soft spot. Feral Fighting (Skilled): Garrett has been trained in feral combat to bring down others when on four legs. He is lighting-fast and also employs dirty tricks. He has also fought a two-legged Luperci while in a feral form and often goes for the legs or knocks them over. Projectiles (Competent): Garrett can use throwing knives and throw tomahawks. He can hit a mark but goes for the center mass. Knives are the go-to throwing weapon but he has thrown random items at people and favors a bottle to do this. Sleight of Hand (Competent): Garrett knows a bit of sleight of hand. He can make this disappear and reappear. Breaking and Entering (Competent): Garrett knows how to get into homes and out. Hunting (Competent): Garrett is capable at hunting in feral form. He relies on his speed to bring prey down but he has learned mainly from chasing down suspects and applying it to prey. Agility (Skilled): Garrett is quite agile and can do some degree of Parkour with his speed. He has had to chase after runners and learned how to use his agility to catch up with a suspect. Stealth (Skilled): Stealth is one of the things Garrett has honed on in his assassin training. He knows very well how to hide in plain sight and ambush. His pelt color is best for dark forests and has been used to ambush from alleyways. Tracking (Skilled): Tracking is another skill he's learned as an assassin. He has some skill at tracking people in an urban setting, but in a wild setting he can track prey and sometimes Luperci. He relies on sensory aid when tracking. Manipulation (Skilled): Garrett is skilled at manipulating people. He can be charming and charismatic which helps him convince people to do things or think a certain way. Strategically Thinking (Expert): Garrett is good at breaking things down and figuring out how to react. Languages (Competent): Garrett's eidetic memory allows him to learn many languages. He knows French and Italian and knows different phrases from other languages. Negotiation (Skilled): Garrett is good at haggling traders. He knows how to get what he wants and won't stop until he gets it. He has some ability to negotiate with violent people but primarily uses this skill while trading. Interrogation (Skilled): Garrett knows how to get a confession from a criminal. He will sweat someone out, bluff, or annoy someone until he gets something out og them. Victimology (Apprentice)): Garrett can find patterns in crime victims. Profiling (Apprentice): Garrett is currently studying profiling. He can figure out a Modus Operadni and has some ability to figure out why the person is doing it. Slower shifting: Garrett is normally clothed which means he can't shift as quickly as some. Rural Areas: Garrett's domain is the city. He is more used to urban fighting than fighting in forests. Impulsiveness: Garrett is still young and he sometimes doesn't think before he talks. Hunting Alone: It's harder for him to hunt alone so he often hunts with Skeiron's help. More Victims: He does need several victims to compare data and wants to hone this skill so that he can better predict who the criminal will strike. Garrett was born in an area of Washington D.C alongside his brother, Spencer to Sijarem Masquerade and Bellex Marauder. The city he lived in was ruled by four families: the Masquerades, the Purge, the Venom, and the Chandler. In the city, the Masquerade and the Purge were the enforcers and the Venom and the Chandler controlled the trade. Garrett and Spencer were brought back to their father after birth. They was raised alongside two half-brothers, Loki and Bonereaper and a ward that the Masquerades had taken in, Logan Venom. Once he learned to shift, his father sent him to be trained as an assassin by the Purge family. Before Garrett was sent off, he was gifted a cheetah cub and a golden eagle. His father had taken him to an animal menagerie to find a companion and they had come across a young cheetah cub that had been given to the place by an African trader. The young boy selected the feline and eagle and while training, he also trained them with the help of his adopted brother, Logan Venom and his trainer, Razor who are both skilled in working with animals. While training, he befriended Cheshire Panthera and Chaos Purge. He also started studying psychology in order to help him figure out his targets and enemies. While training as an assassin, he specialized in knives and tomahawks as well as hand-to-hand combat. When he was a year and a nine months old, he became a full assassin and was paired up with Chaos, a sniper and Cheshire, a paladin. The trio worked together for three months before Garrett decided to explore the world. He and his half-brother, Bonereaper had heard about a place in Nova Scotia called 'Souls and decided they wanted to journey there and explore.